Recently published in the Doctor Who Appreciation Society's magazine, Celestial Toyroom, issue 367 and here reproduced for your delight and edification. Once again, thanks to Tony Jordan for the encouragement and publishing this material. In 1963, the then Prime Minister Harold Wilson announced a technological vision for the future of Britain and famously paraphrased it as: "The Britain that is going to be forged in the white heat of this revolution will be no place for restrictive practices or for outdated methods on either side of industry." Doctor Who was born in the glare of Wilson’s supposed ‘white heat of technology’ but spent much of the 1960s either under the influence of William Hartnell’s paternal ‘grandfather’ where the series slowly emerged from, and broadly reflected, the austerity of the post-war years or embraced the doe-eyed optimism of the Summer Of Love with the quietly subversive Patrick Troughton whose tenure climaxed as the Vietnam War left a generation stumbling about, battered, from the biggest come down they’d yet experienced. For Season 7 of Doctor Who, this ‘white heat’ is a literal metaphor: the reincarnated Doctor arrives with a swarm of meteorites in a funnel of super-heated air; the reptile Silurians create a hothouse deep in the caves of Derbyshire; the Ambassadors from ‘Mars’ devour radiation to survive; and the Inferno project engulfs a parallel world in red hot lava. Get the Factor 15 out and put the air-conditioning on. 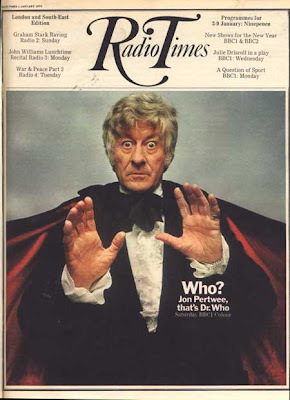 If any period of Doctor Who captures the ‘honeymoon is over’ flavour of the 1970s, then I’d argue that Season 7, the first to introduce Jon Pertwee as the Doctor, should take that honour. At their best, the twenty five episodes screened from the 3rd January 1970 onwards offer a complex view of the then current zeitgeist as well as develop on ideas and concepts previously rehearsed in stories such as The Web Of Fear, The Faceless Ones and The Invasion. It is clear that Season 7 is the legacy of outgoing producers Derrick Sherwin and Peter Bryant and it is a brief but fascinating revision of the series format. Not only does the series move into colour and embrace a ‘realism’ hitherto unseen but it clearly signifies the end of the Sixties dream and works to position the series as a reflection and commentary on the legacy of Wilson’s ‘white heat’, the rise of new social movements such as feminism and environmentalism, the impact of economic and industrial recession with their resulting strikes and blackouts, the rise of corporate culture and the loss of Empire. This is all seen through the refractive mirror of an alternative, future Britain with its own space programme, research into nuclear power and drilling projects as emblematic of a still thriving world power. 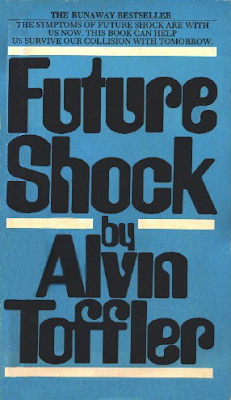 The impact of such a future is also discussed in Alvin Toffler’s best-seller of 1970, Future Shock. He suggested society was being so rapidly restructured, emerging as it was from the industrial revolution and hurtling towards and transforming into a ‘super-industrial’ society, that it would leave major casualties in its wake. People would be overwhelmed by such progress, and this technological, biological and social acceleration would leave them disconnected and suffering from "shattering stress and disorientation" – e.g. the future shock of the book’s title. Season 7 features a Britain in thrall to, but also repulsed by, the ever-escalating influence of technology on ordinary lives and a love-hate schism about what might constitute ‘the future’. It is a Britain caught up in the struggle between rational pacifism and paranoid militarism where the domestication of terror and fear, the bureaucracy of the allegedly democratic state versus alien or non-human forms of organisation that cut through bureaucracy to seize opportunities and get results, is literally revealed to the man in the street. Beginning with the series format and briefly examining the legacy of the series enables us to understand the roots that informed this development of Doctor Who in 1970. One of those developments is with the role of the Doctor. The Doctor as ‘establishment’ figure was originally showcased in The War Machines and both the Hartnell and Troughton Doctors were seen collaborating with high-ranking officials, scientists and most importantly, the military, and then later a United Nations paramilitary offshoot called U.N.I.T. In this respect, if we are talking about the series roots, the anti-establishment Doctor, as played by Pertwee, who finds himself having to work alongside his more bureaucratic colleagues is very much in the mould of Nigel Kneale’s Professor Bernard Quatermass. And Quatermass’ completely earthbound activities should be considered a major template for the series as it emerged in 1970. The series was also in production at the same time as Doomwatch a Kit Pedler and Gerry Davis conceived series that told the exploits of a government department that examined environmental, industrial and biological hazards and disasters. Its leader, Spencer Quist, might also be considered as a similar outsider figure trying to change minds at the ministry. The two series often dovetailed thematically at the time too, sharing their concerns about scientific research, new forms of energy and the impact on the environment as well as embracing a sense of ‘realism’ in the way it depicted such matters.